Joomla! is an award-winning content management system that enables you to have complete control over your web sites or applications. 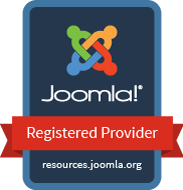 Many aspects, including its ease-of-use and extensibility, have made Joomla! the most popular Web site software available. Joomla! is an open source solution and is freely available to everyone. This means you'll never be tied into proprietary licenses and ongoing costs just to run the software. You can take it, build upon in and reap the awards for yourself.